Can Captain Kohli repeat Ganguly, Dravid, Kapil's Test success in England? India have lost the Test series in England but coach Ravi Shastri insists that the current lot is travelling better than the teams of the last 15-20 years. India lost by 62 runs in the fourth Test at Southampton to go 1-3 down in the five-match series. "As hard as our guys tried, England were one-up on us there. Nothing to take away (from them), the endeavour of this team is to travel well, compete and win. If you look at the last three years, we have won nine matches overseas and three series (against West Indies and twice in Sri Lanka)," said Shastri here on Wednesday. "I can't see any other Indian team in the last 15-20 years that has had the same run in such a short time, and you have had some great players playing in those series. So the promise is there, and it's just about getting tougher mentally. "You have got to hurt when you lose matches because that's when you look within and come out with the right kind of answers to combat such situations and get past the finishing line. One day you will if you believe, said Shastri. 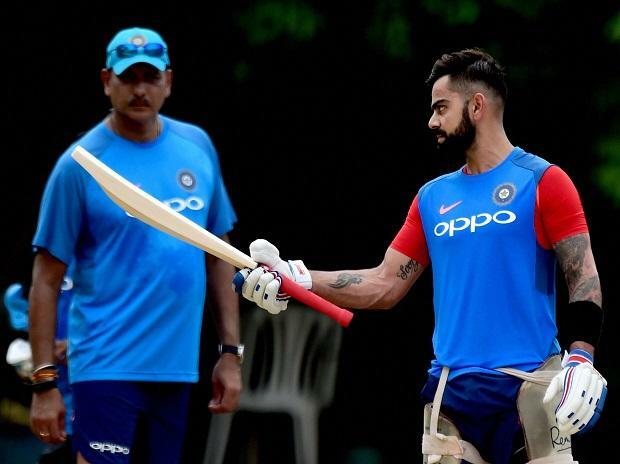 The head coach underlined the need to grow mentally tougher in order to cross the finishing line and win Test series in overseas conditions, something Virat Kohli had stressed on after the loss at Southampton. "I think you have got to get tough mentally. We have run teams close overseas and we have been competed. But now it's not about competing (any longer). We have to win games from here onwards. Now the endeavour is to understand where you made the mistakes, take it head on and try to correct it. "The scoreline says 3-1, which means India, have lost the series. What the scoreline doesn't say that India could have been 3-1 or it could have been 2-2, and my teams knows it. They would have been hurt and rightly so after the last game. But this is a team that will not throw in the towel," he said ahead of the fifth and final Test starting here on Friday. Talking about what the batsmen can do to improve and cross the finish line, he said, I think shot selection left a lot to be desired. We blew away a very good position straight away after tea on day two (in Southampton). That's an area where you can tighten, and be aware of what the team needs. Being aware of the match situation will be a big help. I think that was crucial more than anything else. "I thought at 180-4, there was a definite chance of a 75-80-run lead, and that would have been crucial. So that hurts. Edgbaston could have gone either way because we had our share of luck as well. At one time England were in the driver's seat; we managed to come back. But there was a stage where you could have been really ahead of the game, after the job the bowlers did on day one. Shastri said that Moeen Ali was the key difference between the two sides, and he bowled better than R Ashwin, hitting the rough patches more than the Indian off-spinner. While it looks increasingly likely that Ashwin will miss out on the fifth Test, the coach said that the spinner was fully fit when picked in the fourth Test and that Ali simply bowled better. "Ashwin was fit. You have to give credit to Moeen Ali there on the last day. To be honest, he bowled magnificently. I think it's straightforward (difference between them) very simple, very obvious, it was there for everyone to see. Moeen hit those patches more than Ashwin, as simple as that, said Shastri. He also complimented Cheteshwar Pujara for his first innings' hundred and said that while conditions have been tough for batsmen, they need to find a way to stay in the middle. "You obviously need the top order to give you a start but if you look at both sides its not been easy for the top order. The bowling has been good, really good, and it's been a challenge and it is how you overcome that challenge. "In the prevailing situation, the kind of pitches we're playing on, the amount of movement there is with the Dukes ball - it's challenging for the batsmen. It's not just us; even batsmen from the other side have struggled. When you are set, you need to capitalize." Talking about Pujara's knock, he said: "Pujara's was an absolutely khadoos (stubborn/strict) innings." When asked about Hardik Pandya's ability to bat number six, and the need for flexibility in bowling attack, the coach replied, When you're young, you've got to be thrown into the deep end. You've got to persevere and see, if it works or it doesn't work. If it doesn't work, there'll be another option. "But you have to give that opportunity when you think there is that talent there. And stick with that. You always have to be flexible. You can't be rigid in your thinking. You've got to be flexible, you've got to see the conditions, see what conditions will be like day after tomorrow. And then take the call (on playing four bowlers). India will be playing for pride in the fifth Test, which will also be Alastair Cook's final Test. Shastri paid a rich tribute to the former England skipper who debuted against India at Nagpur in 2006. "I saw his first Test match, saw him getting a hundred in Nagpur. He's been one of England's greatest cricketers - no question. He always came across a mentally tough bloke, real tough cookie. As far as I am concerned, there were times in his career when he batted where he did look the master chef. "He might not go down as one of the best-looking, fluent batsmen, but my word he was effective. Playing in these conditions for that length of time, where the ball does move and it's a challenge for an opening batsman -- I think he's been simply outstanding. Good luck to him (for the future), Shastri signed off.